It’s no secret that social media channels are one of the best forms to attract new followers and engage your audience. To do this successfully, you need to consistently share quality content and interesting posts that your followers want to see. You don’t want to be rushing at the last minute to find something to share, and settling for less than the best because you simply didn’t have the time to put into it. Keep reading to find out how to create a year-long social media content calendar for your business. Creating a social media content calendar for the entire year may sound daunting and time-consuming, but it is one of the best things you can do to keep you on track all year, while eliminating stress, saving time, and enhancing your social media marketing strategy. 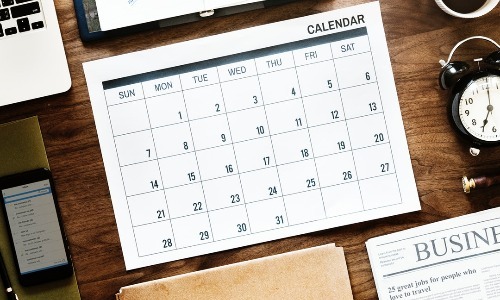 When you create a long-term calendar, you can simultaneously schedule posts ahead of time, which allows you to stay consistent and prevents you from missing any important holidays or events. This also keeps you from neglecting one social media platform because you’re so focused on another. More benefits include freeing up precious time that you can spend responding to your followers, posting anything new that comes up, and engaging with current issues without having to worry about generating your regular posts at the same time. You can also schedule your posts to be published at optimal times when your audience is most active. In the end, putting in the time and effort now is well worth your sanity throughout the rest of the year. 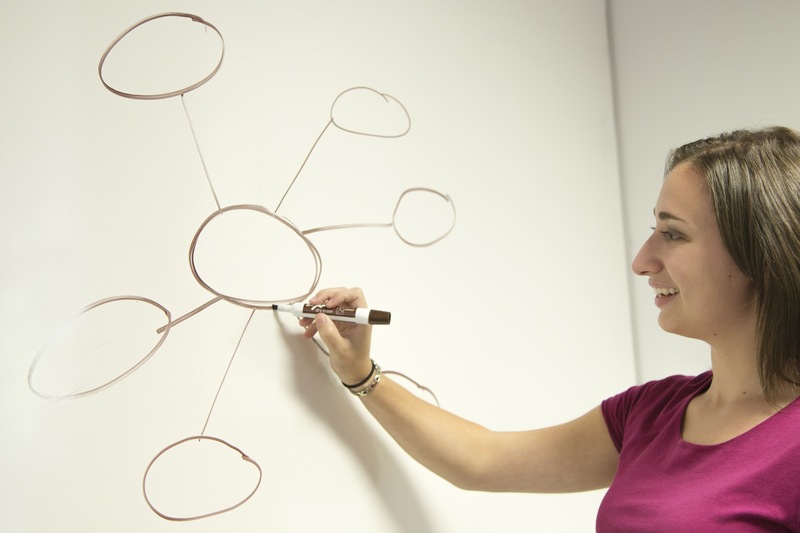 First, conduct an audit of your social media to determine what resonates with your audience. Look back at previous posts to see what sort of engagement they drew in. Use tools like Facebook Insights to view your analytics and see the number of clicks, responses, and total reach for different posts so that you can figure out what your unique audience responds to best. From here, you can begin to get an idea of what does well for your company and what doesn’t. Does your audience seem to prefer more informational content, links to longer articles, humor, or behind-the-scenes photos? Do giveaways and contests generate new followers and more revenue? Find out what works for you, and focus on that. Should you post daily, several times a day, weekly, biweekly? There are several factors that can affect this, including your specific company, your audience, and which social media platforms you are using. Due to the different algorithms used, the frequency with which people use the platform, and what types of posts you’re sharing, you may want to post as often as five or more times a day to Twitter, but only two or three times per week to LinkedIn. Constant Contact shared an article with some helpful guidelines to help you determine post frequency. Keep in mind that it is always more important to share quality content than to produce posts of lesser quality in exchange for greater quantity. Choose a frequency that fits your company, experience, and content. Now that you know what sort of content you want to be posting and how often, it’s time for the fun part: creating the content you will post. If you are going to be sharing a lot of original content that is yet to be created, hold spots on the calendar for those articles and just fill them in when they are completed. Sharing links from other sources with information relating to your business or industry is great, too. Remember to include things that encourage engagement from your followers, such as posts that ask questions, milestone celebrations, sneak peek photos, contests and giveaways, and anything else you have found that drives people to engage with your posts. One way to find content to share is by using software such as Buzzsumo, Feedly, Sprout Social’s Content Suggestions, and Stumbleupon, which help you find relevant content based on the categories or keywords you choose. Last but not least, it’s time to fill up your calendar. There are various ways to do this, and you spend some time finding what works best for you. Whether you decide to schedule Facebook posts separately using the Publishing Tools area, or allow a site like Hootsuite or Buffer to post to multiple platforms for you at once, explore your options. You may find it helps to create a master schedule on a spreadsheet using Excel or Google Sheets, and use that to keep up with everything as you schedule posts for different social media platforms. Whichever method you choose, be sure to include any photos, videos, links, or hashtags that need to be included in the posts. Don’t forget special events, holidays, and seasonal posts. Once you’ve added in all of the must-haves, fill in the rest of each month with posts that express your brand and personality. There are many tools and apps out there that can help you with this process, so don’t be afraid to try out several and see which the best fit is for your company and strategies.